Home | Blog | Facial Toner – Necessity or needless? 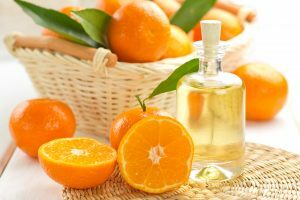 Facial Toner – Necessity or needless? What is the role of facial toner? Why would we spend money on an aqueous solution with some additional ingredients? What facial toner is the best? Look rather for an alcohol free toner. Alcohol can cause dryness and irritation. I would discourage you from buying 2in1 cleanser/toner products. I am not sure how these products cleanse your face and provide acidy pH at the same time. All detergents and chemicals have an alkaline pH which destroys the water-lipid layer of our skin. Holos Floral Toner is a diamond among toners. It contains only natural organic ingredients. 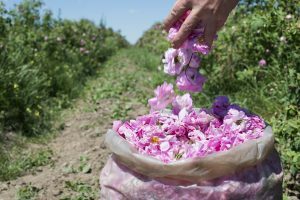 Organic rose petals used to produce Holos Toner come from Rosa Damascena grown only in Kazanlak Valley in Bulgaria. Rose oil soothes dry skin, broken capillaries and inflammation. Floral Toner softens skin thanks to plant based glycerine. The delicate rose aroma works therapeutically improving our senses and removing fatigue. 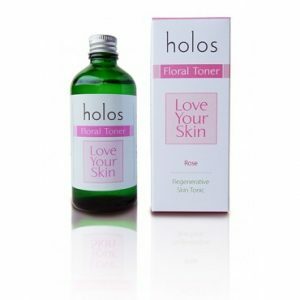 Holos Floral Toner is safe for every skin, including sensitive, mature or oily and acne prone skin. Facial toner should be used after a cleanser and before facial cream or serum. If you or your friends think toner is a waste of money I would like to encourage you to try Holos Floral Toner. Expect positive results for your skin and allow your mood to be swayed by the aroma of organic Bulgarian roses.